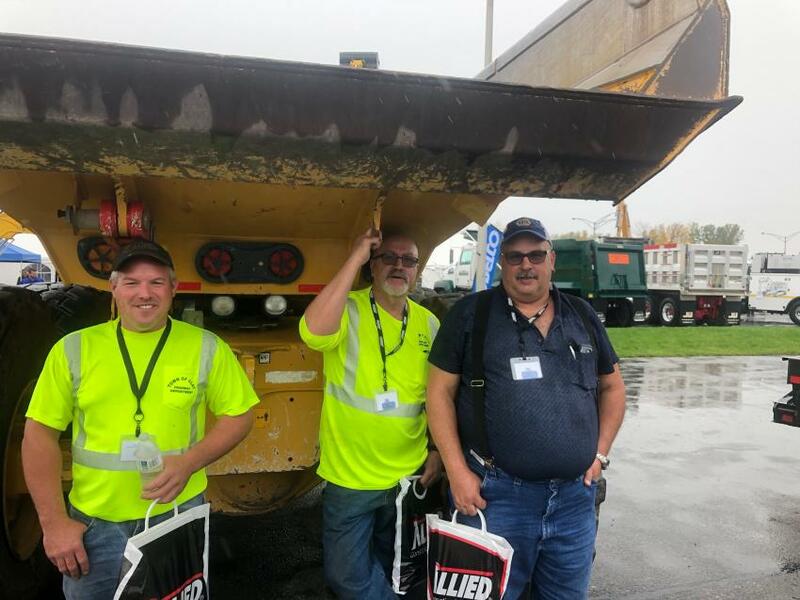 Tracey Road Equipment held its annual customer appreciation open house Oct. 11 at its headquarters in East Syracuse, N.Y.
More than 1,000 visitors from municipalities, construction firms, trucking companies, aggregate producers and landscaping firms from across the state were in attendance. 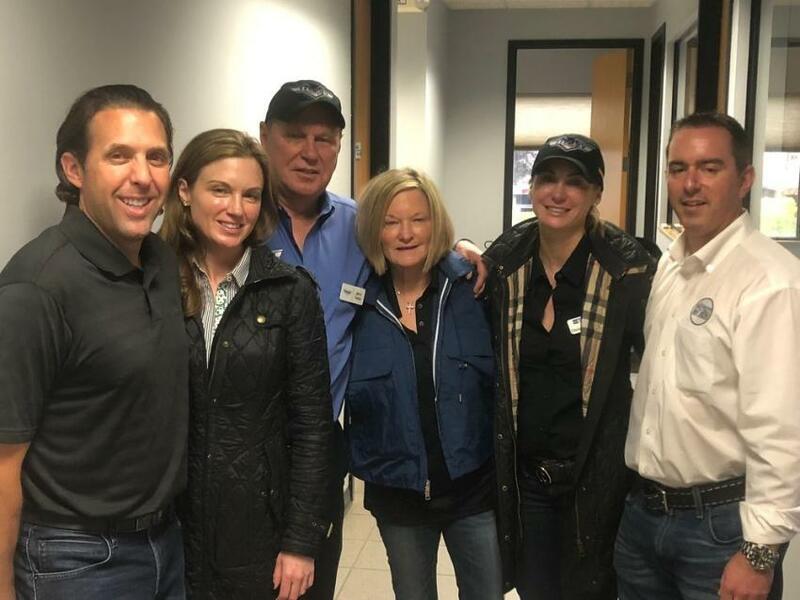 Jerry and Debbie Tracey, along with their entire family, thank all of the attendees and equipment suppliers that made this year’s event possible. Factory representatives from Hyundai answered any questions and arranged financing for interested buyers. (L-R): Cam Cunningham, Marcus Barns and Kevin Murphy. 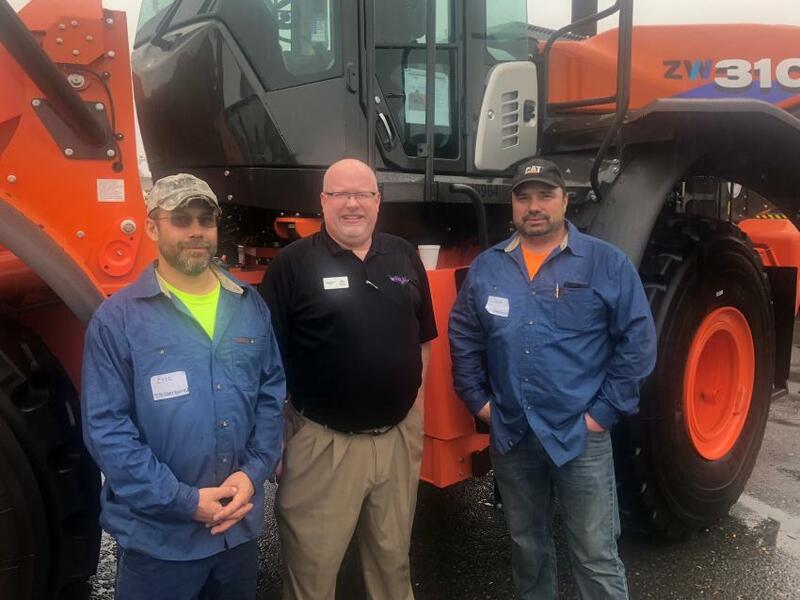 Checking out the features of the all new Hitachi loaders (L-R) are Chase Winton highway superintendent of the town of Sherburn, N.Y.; John Byers of Tracey Road; and Eric Leinbach, also of the town of Sherbern. 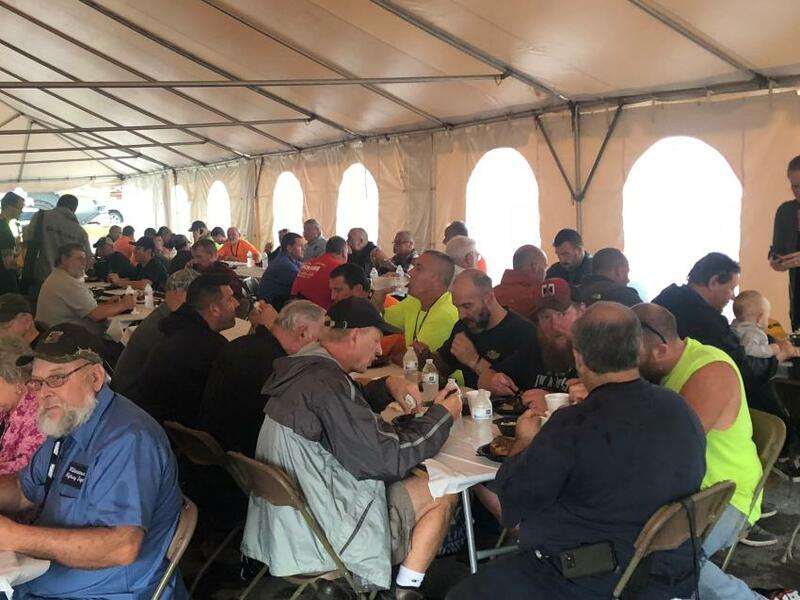 Taking shelter from the rain (L-R) are Fred Gaylord, Tom Gaines and Mike Detor, equipment foreman, all of the town of Clay. 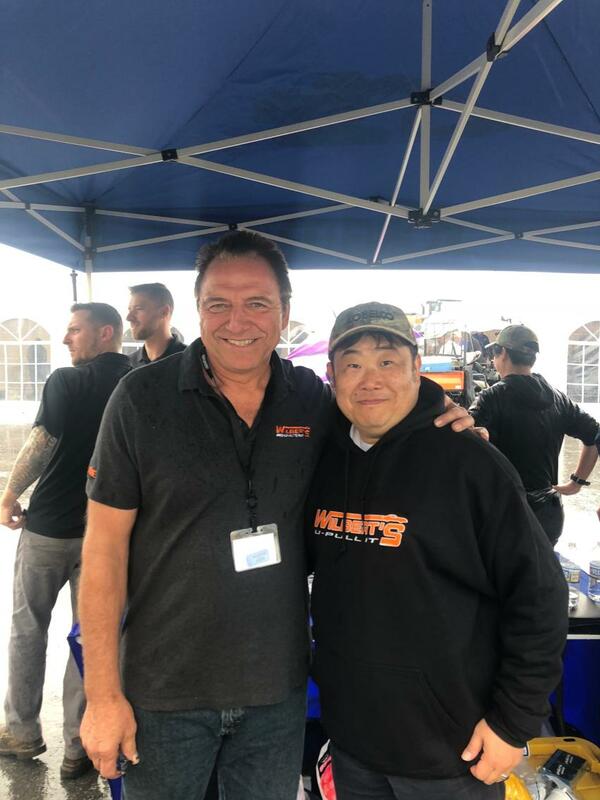 Ronald Wilbert (L), president of Wilbert’s U-Pull It, presented Pete Morita, president of Kobelco USA, with a Wilbert’s U-Pull It sweatshirt. 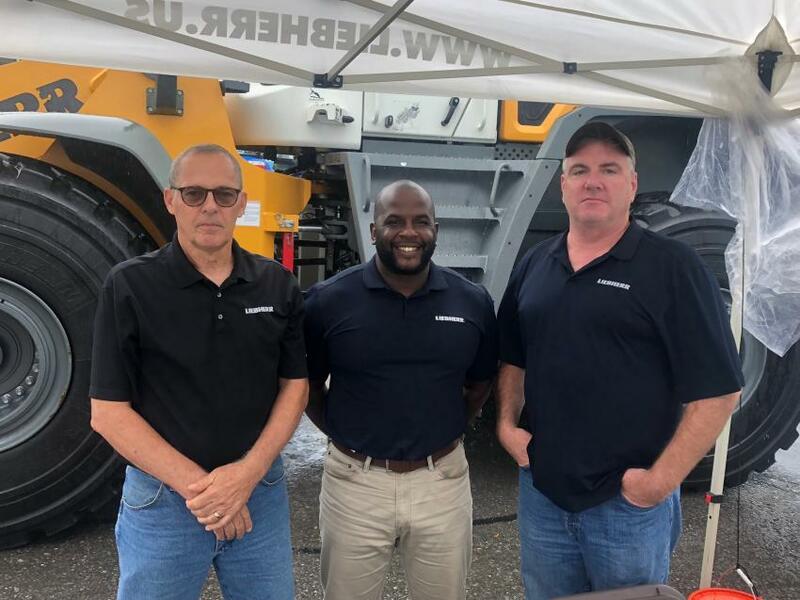 Wilbert’s has had tremendous success implementing Kobelco’s auto dismantlers at its auto salvage yards. 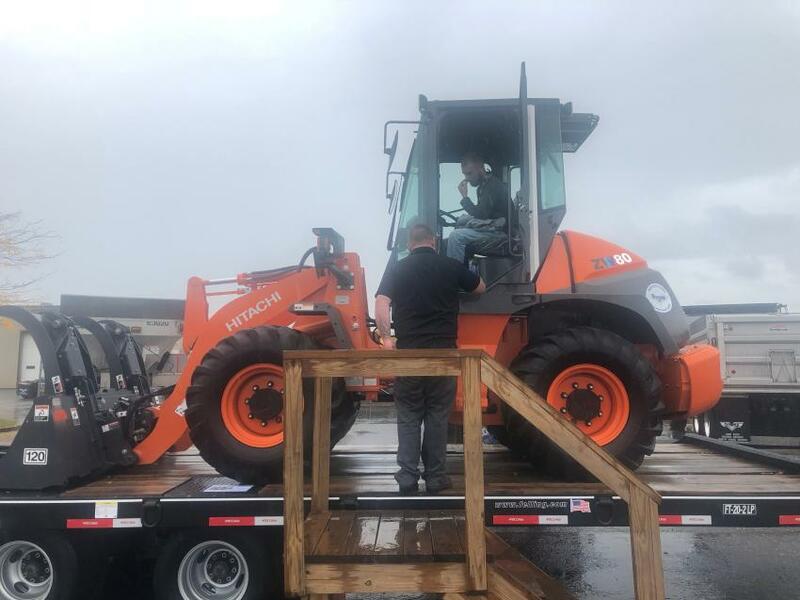 Formerly known as Kawasaki, the all-new Hitachi loaders were proudly on display. 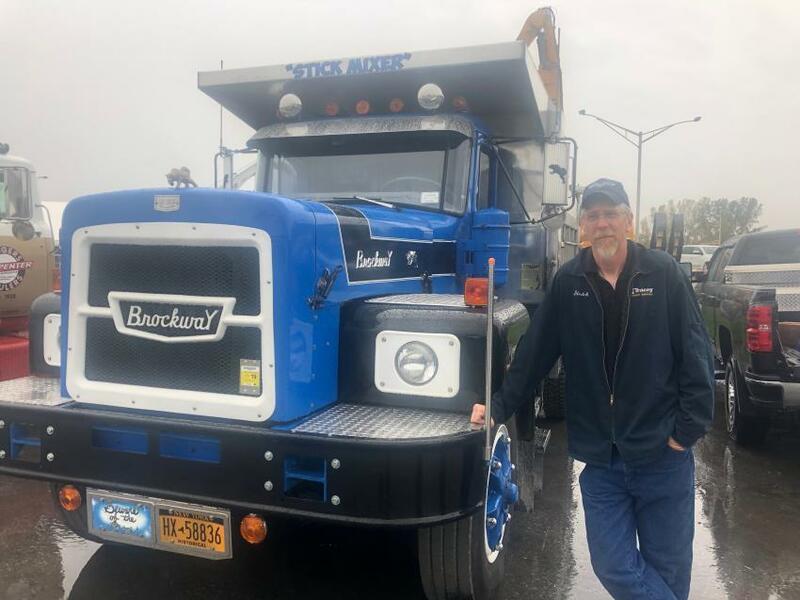 John Schoeck, an employee of Tracey Road Equipment, proudly shows visitors his 1970 Brockway N361 5x4 truck powered by a Cummins NTC engine. 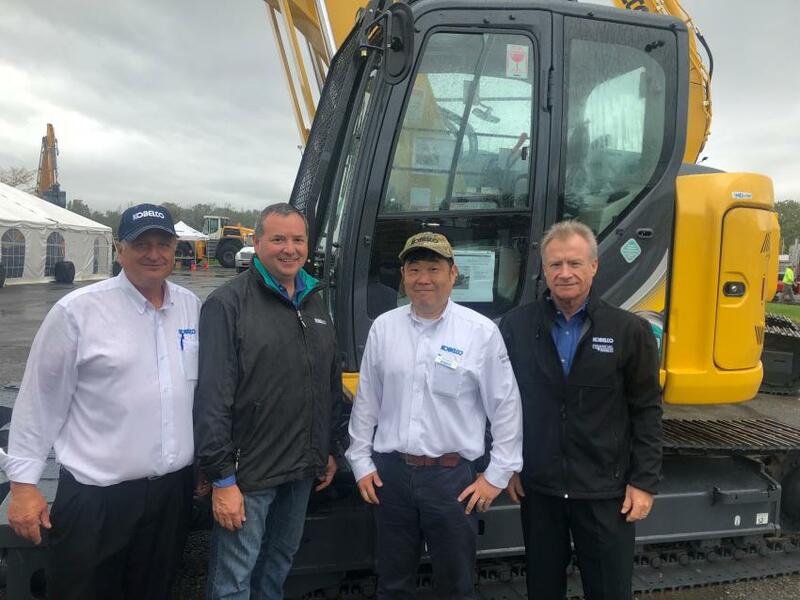 (L-R): Representing Kobelco are Terry Ober, Dave Donneral, Pete Morita and Randy Hall. 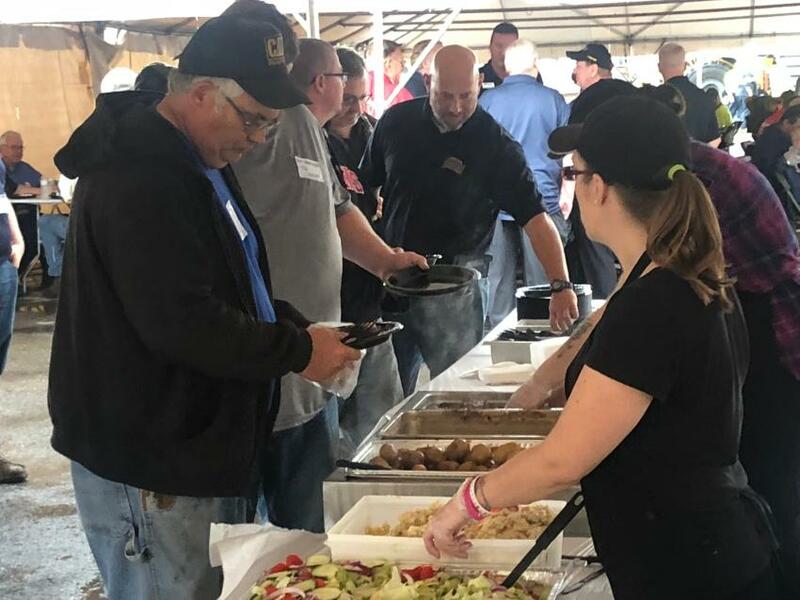 There was no excuse for leaving this event without a full belly. 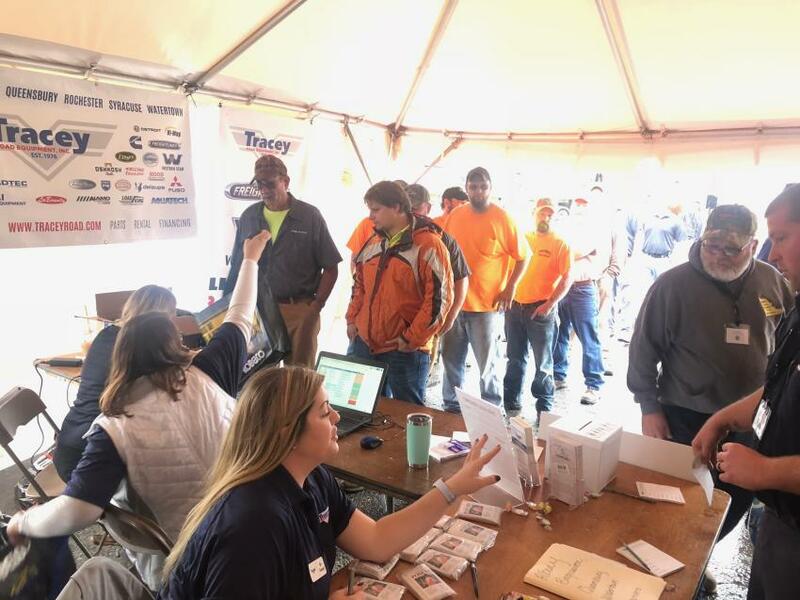 This year’s event drew the largest-ever attendance with more than 1,000 guests. Each attendee was presented with a gift bag filled with wonderful equipment bling. A Holder tractor rodeo was a unique opportunity to test one’s operating skills. 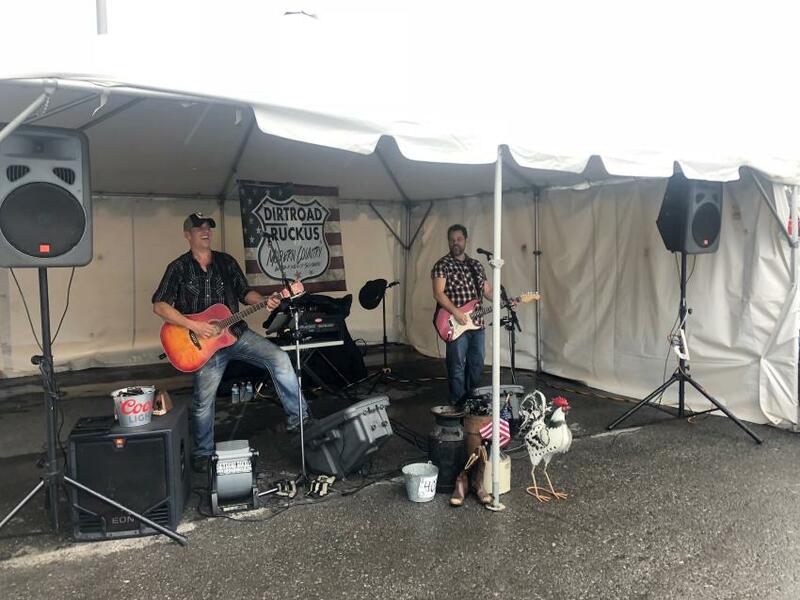 Dirt Road Rocus entertained visitors despite the inclement weather. 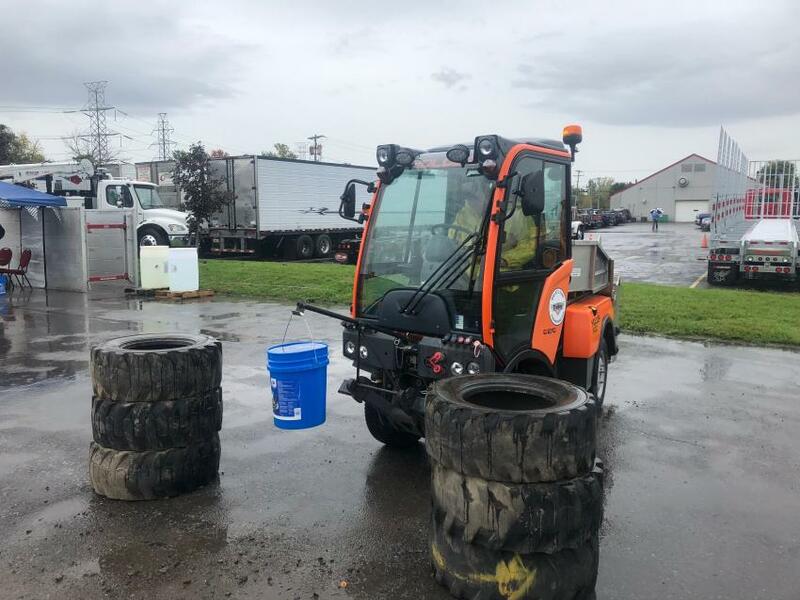 EventsNew YorkTracey Road Equipment, Inc.
Events New York Tracey Road Equipment, Inc.